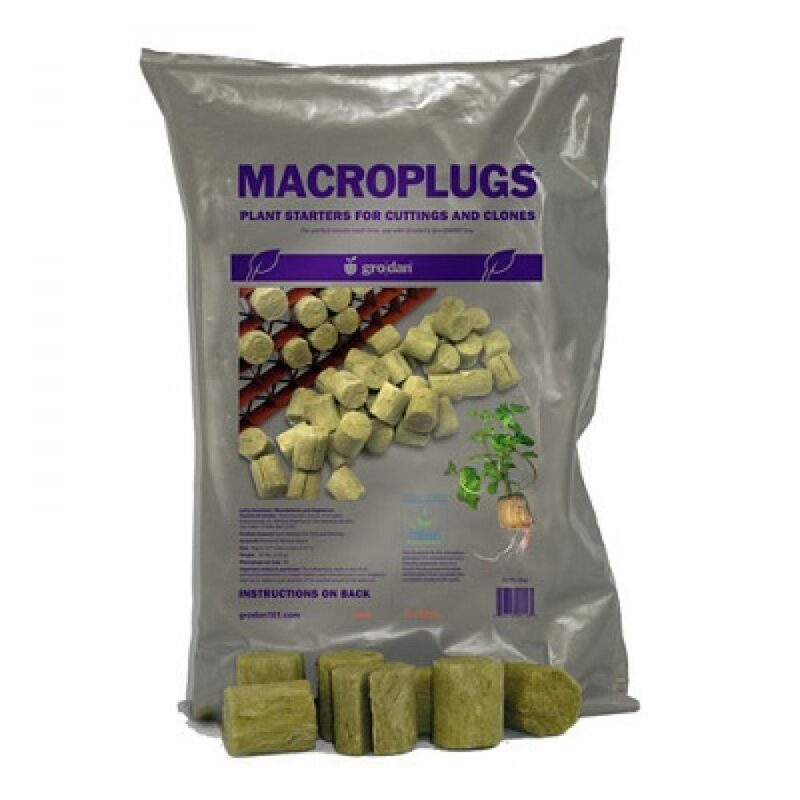 Macroplugs are 1.5″ round with a slit that allows easy insertion of a cutting. These loose round plugs fit perfectly into the Gro-Block hole. For best results with these Macroplugs always insert them in a tray with individual cells. The individual cell will make sure the plug stays closed around the stem of your cutting.